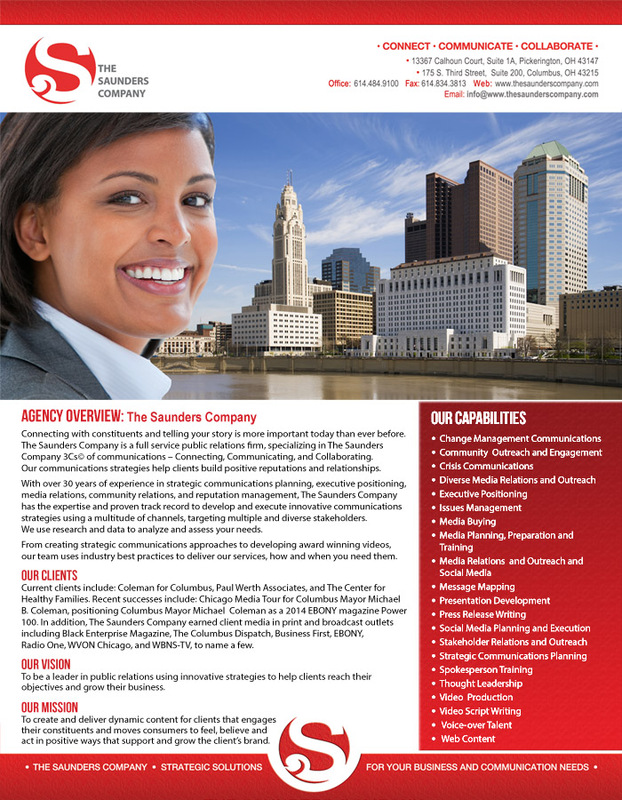 The Saunders Company is a public relations agency specializing in media relations, diverse media outreach, thought leadership, strategic communications planning, and public and community relations. 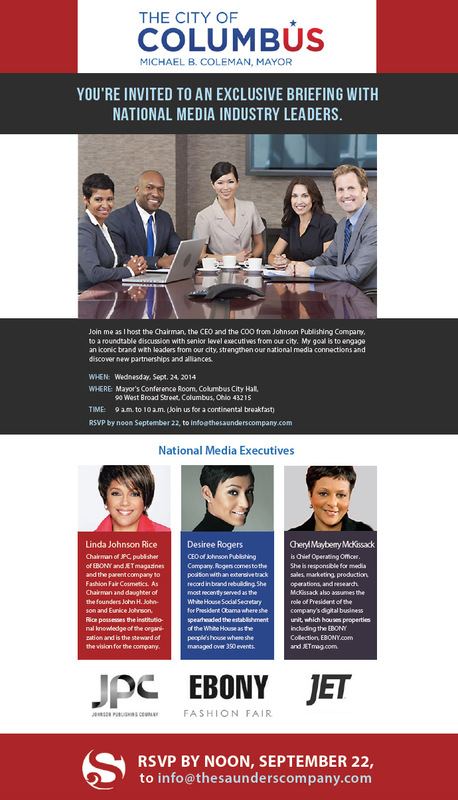 Recent engagements include developing thought leadership platforms for executives, serving as communications strategist for clients, developing comprehensive communications plans using traditional and social media relations strategies, prepping and positioning clients for national and local media interviews and appearances, speechwriting, creating/writing press releases, and video scripting and production. 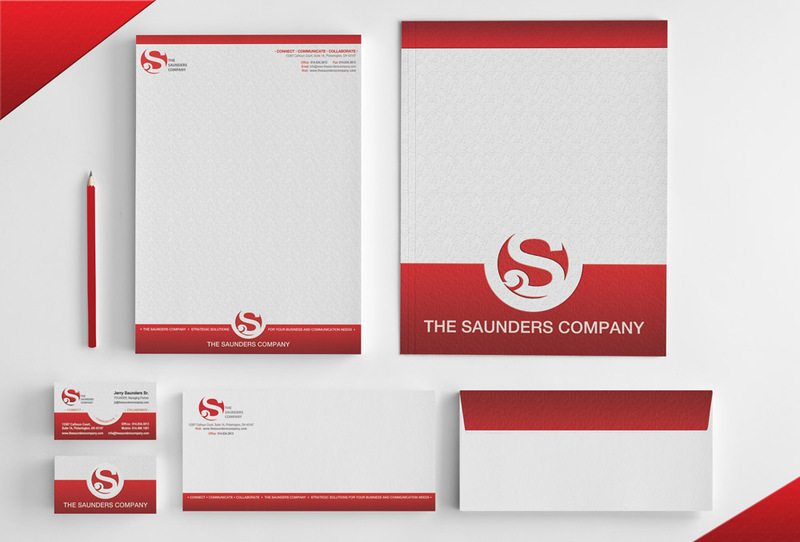 Corporate Branding for The Saunders Company. 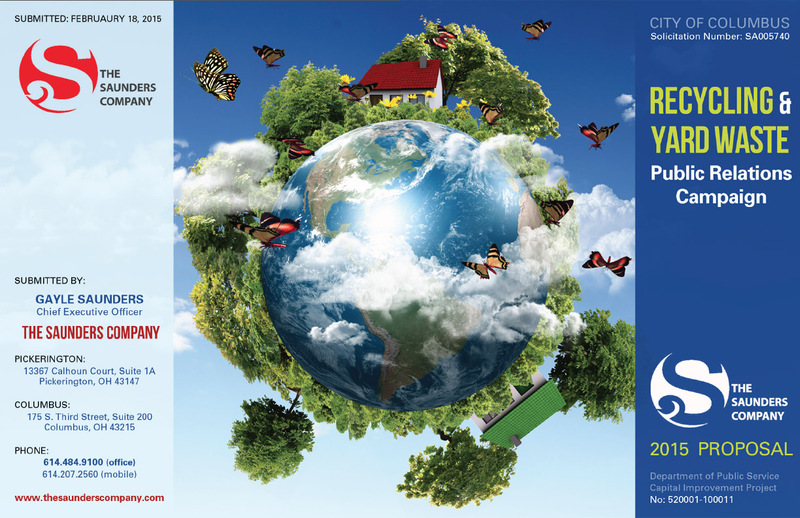 A Branding package comprising: Letterhead, Business Cards, Envelope, Invoice and Folder was put together. 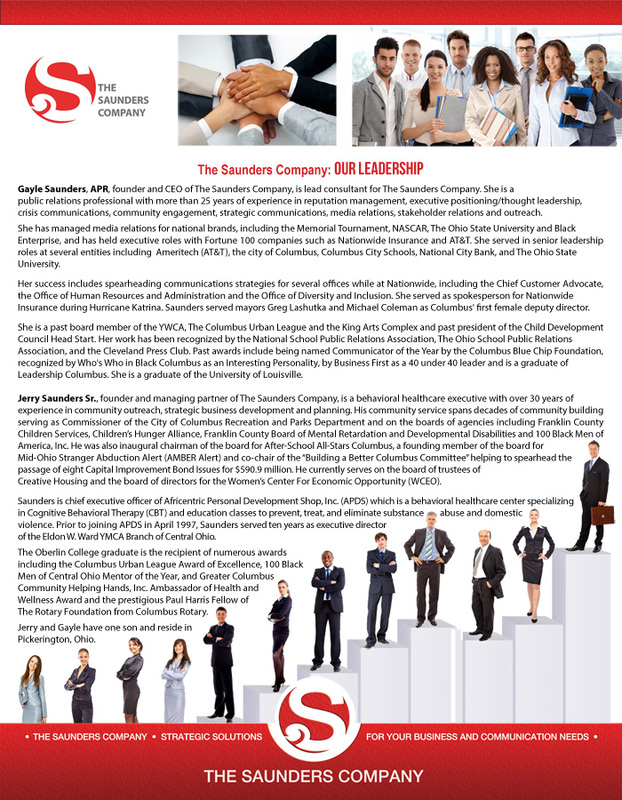 Marketing Materials including a promotional Invitation from the Mayor, Capabilites Statement list, Publications Ad and Proposal was created. 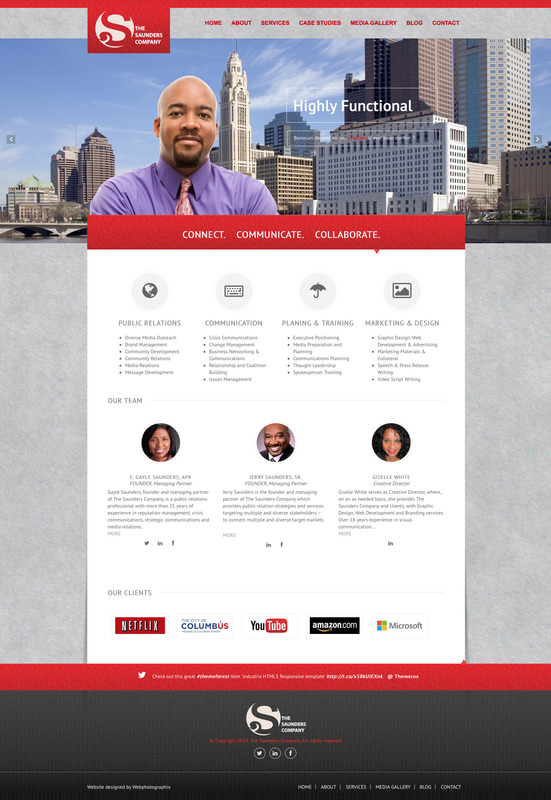 A responsive HTML5, CSS3, JQuery, PHP, Wordpress site was developed.